While I try my best to branch out and read new authors as often as I can, sometimes it’s important to pick up a bit of indulgence reading. Terry Pratchett is one of my very favorites. His books are the equivalent of Cheetos and Jelly Bellies, intensely flavorful and full of surprises. Mort is no different. This book was originally published in 1987 and is the fourth in the Diskworld universe series where the world is indeed flat and supported in its journey through the universe balanced on the back of four elephants which in turn stand on an immense giant turtle. If that doesn’t give you a good feel for Pratchett’s gigantic sense of humor and intellect, I don’t know what will. The main character, Mort, short for Mortimer but also meaning “death” in French, starts out as an awkward knobbly kneed youth and proceeds to, ironically enough, become Death’s apprentice. Death has become tired of his job and sees this as a wonderful opportunity to finally learn what life is all about. Mort, being the awkward youth that he is is tasked to collect the souls of those who have died and in the process accidentally breaks the nature of reality and time. In order to heal the rift he has created, Mort must find a way to align reality to accept his big mistake – a process that involves finding a wizard specially suited for the job. Naturally this can’t be easy. Nothing in a Pratchett book is. Every twist and turn reveals different aspects of wonderfully complex characters and an equally complex world. I adore Prachett’s writing style. He creates the most unexpected and delightful descriptions and then blends them into a story that flows with such ease that I can’t help but sit back in awe. He does for fantasy what Douglas Adams did for science fiction – take a normally very serious genre and fill it with wonder and humor. The story of Mort itself is just enough unpredictable that even this seasoned story expert was kept on the edge of my seat trying to figure out what would happen next. For me, this is a real perk. With most books, even the best written ones, the story is usually straight forward enough that I can guess what’s going to happen and that’s gets boring. With Mort, that expectation gets thrown out the window in the first chapter and a world of wonderful possibilities present themselves, each equally plausible. Many books like to explore the ideals, especially when it comes to characters. There is usually a hero, a villain, and a variety of mentors, sidekicks, and romantic interests who cross the stage of the story. Prachett has never been slave to this convention. His strength lies in making all characters as flawed and strange as possible – the more unique the better. My favorite? Death. I love that he wants to explore the world and is so helplessly naive and charming as he learns what it means to live. The whole idea just tickles me the right way. I recommend this book to those who normally don’t enjoy fantasy, but want an introduction. The Diskworld books don’t need to be read in any particular order, but for those who need a plan of attack, I’d recommend the Diskworld Wiki to help explain the different families of books. I’d also recommend it to fans of Douglas Adams, those who like clever prose, and anyone with a pulse and a sense of excitement and adventure. I would not recommend this book to the following – people who can’t smile, appreciate a good joke, or don’t get puns and sarcasm. I rate this 5/5 stars for making me giggle and share random passages at my family. They still don’t know what hit them. Psst! Jodi here. Did you enjoy today’s review? Did it help you decide if this book was for you? Cool, eh? Guess what? You can do the same for me. If you’ve read Stonebearer’s Betrayal, head on over to Amazon, Goodreads, or the book site of your choice and leave me a review. It doesn’t have to be big and long like this one – a few sentences is perfect! Thanks in advance! By the way, thanks for stopping by! If you’d like to be notified of future posts, be sure to ‘subscribe’ using the handy links. It can be dangerous picking books from a list and hoping that they live up to the hype. 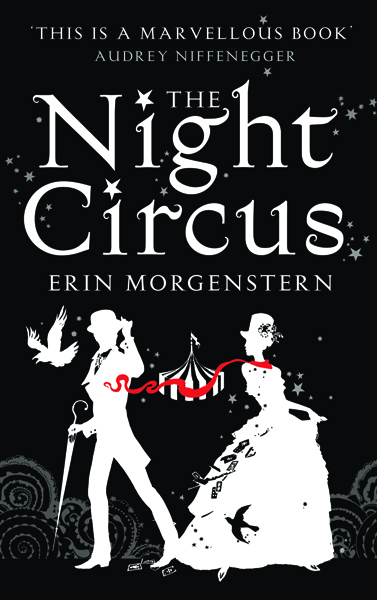 The Night Circus has appeared over and over on book lover Pinterest boards so I decided it would be worth seeing what the big deal was about. I’m glad to say that this is a book that delivers. Not too long ago I wrote a post discussing what Magical Realism meant. The Night Circus is a terrific example of magical realism. The story takes place in an ahistorical Victorian London and follows the lives of two young magical proteges. These magicians can perform actual magic and not just feats of illusion. These proteges and their masters create the Night Circus – Le Cirque des Rêves, the Circus of Dreams. A reality defying collection of curiosities that is only open from dusk to dawn. The circus itself is surreal enough to make for intriguing reading. Among the expected acrobatic acts and contortionists there are tents that are full of the impossible. One is a garden created entirely from ice. Another, a cloud maze where you can fall from incredible heights without the fear of being hurt. The story weaves it’s way through the lives of two magical proteges. Through the years, Prospero the Enchanter and Mr. A.H. have been locked in a rivalry to prove who is the better, more powerful magician. Their students, Celia Bowen and Marcos Alisdair are the pawns in a dangerous competition in which they have been groomed their whole lives to play. Except, they are never given the rules of the competition. They must push to find what must be done and are never sure what the next step must be. It’s not often when a book takes me by surprise. The Night Circus has an otherworldly quality that makes for perfect escapist reading. I was transported into this alternate world where magic is indeed real and palpable and filled with wonder. The story itself is fresh and full of ideas and creativity that haven’t been seen before, which is a feat in itself seeing how most stories I read are beaten dead from over use. The best part of the book is the circus itself, the wonder and the thrills contained therein continually change and evolve to captivate and delight both reader and the characters that walk the pages. I recommend this to anyone who likes magical realism, Cirque du Soleil, and surrealism. For those of you who like their fiction to keep both feel solidly on the ground, this might be a touch cerebral for you. 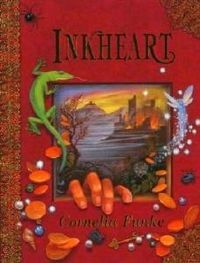 This month’s read is the YA fantasy Inkheart, by Cornelia Funke. I’ve been wanting to read this book for years and was happy that I finally got around to doing it. Watching and enjoying the movie might have played a small part as well. Inkheart is one of those books that feels like it’s been around for a long while, although it’s only been around since 2003 for the German edition and 2005 for the English edition. On an interesting side note, I tweeted about Inkheart and received a cute note from Cornelia Funke herself! The story is about a twelve-year-old girl named Meggie, and her father Mortimer, who everyone including Meggie calls Mo. Mo is a book binder with a secret rare gift of being able to read fictional characters and objects out of their books and into the real world. However, he didn’t discover that this had a great cost, for every person or item that leaves the book, something from the real world must return. When Meggie was very young, Mo read several unsavory characters into the world by accident. These included the devious and unscrupulous Capricorn whose morals are essentially nonexistent, and Dustfinger a fire-eater and juggler who desperately wishes to return to his story. The cost? Meggie’s mother disappears into the book. The book of Inkheart revolves around Mo and Meggie’s dealings with Capricorn and Dustfinger and Mo’s efforts to “read” his beloved wife back into the real world. There’s adventure, romance, magic, and danger. The book’s strongest points are its characters and its evocative writing. Funke captures different moments in the story using lovely metaphors and surprising analogies. If you loved the use of language in Zuzak’s, Book Thief, then you would enjoy the writing style of Inkheart. The characters are brilliant and perhaps the most intriguing bunch of people assembled to make a story that I’ve stumbled across. They are each well written where it feels as if they jump to life off of the page (and in a way, that’s precisely what they do!) The villain Capricorn is a vile and repulsive storybook villain with no true redeemable qualities. Some might consider him an overly stereotyped villain, but you must remember that he is an actual storybook character and with that in mind he is written perfectly. The lead character, Meggie, is a lover of books and stories, just like her father. She is young, and makes mistakes, some of which cause huge problems. To her, it is almost as if her storybook world has come alive around her and she is both fascinated and terrified. She quickly learns that her actions and decisions have real consequences and she must be brave to do what she must. Her father, Mo is a bookbinder who has been into action by external forces. He wants nothing more than his wife back and a peaceful life surrounded by piles and piles of beautiful books that he can share with his daughter. I enjoyed this book and would recommend it to anyone who loves a well written story that takes them to new places.